Bracelet is made with your name and the color of your choice. 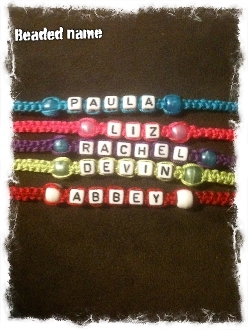 Can be made with or without a bead on either side of your name. Unfortunately there are no number beads available. Great for you and your best friend! Copyright © 2009-2019 3sistercreations. All rights reserved.